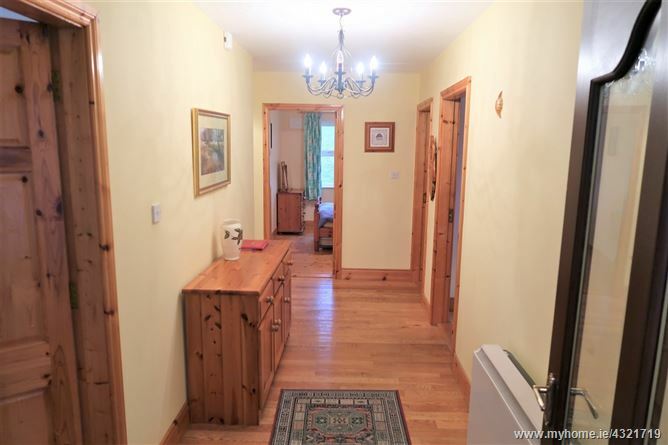 Elegantly presented 3 bed bungalow residence offering bright spacious and well proportioned accommodation. 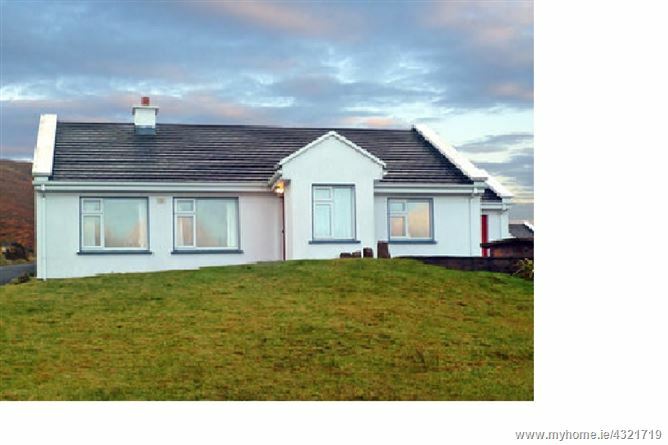 This 3 bed bungalow is located on an elevated site, with feature lacken stone patio with direct unobstructed views over the Bay and Slievemore Mountain and adjacent beach. Viewing highly recommended. 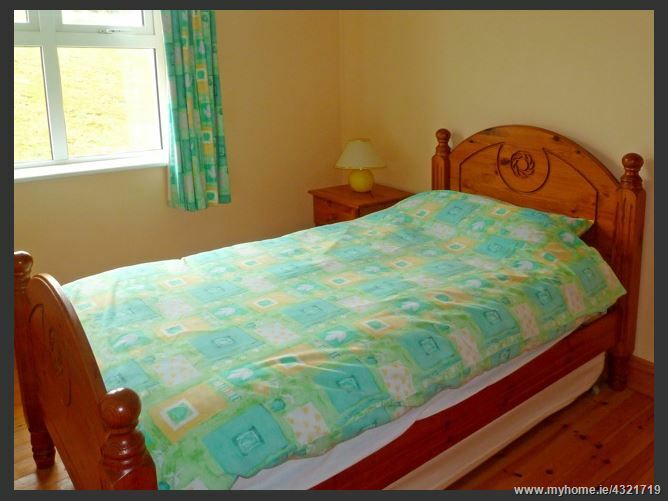 Discover Doogort in this unspoilt, peaceful corner of Ireland. 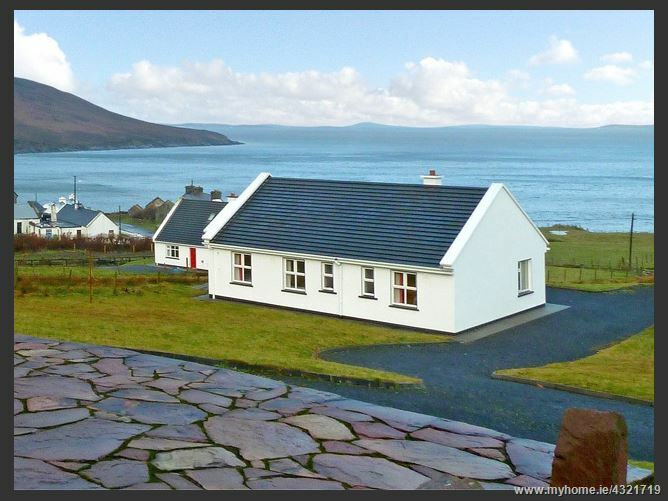 This bright and sunny holiday cottage, decorated to a high standard and furnished with pine, is perched high above the Atlantic Ocean, enjoying breathtaking mountain and sea views across to Black Sod Bay. Just 300 yards from the cottage you'll find golden sands and the foot of Slievemor Mountain where the more energetic can enjoy walking or climbing. 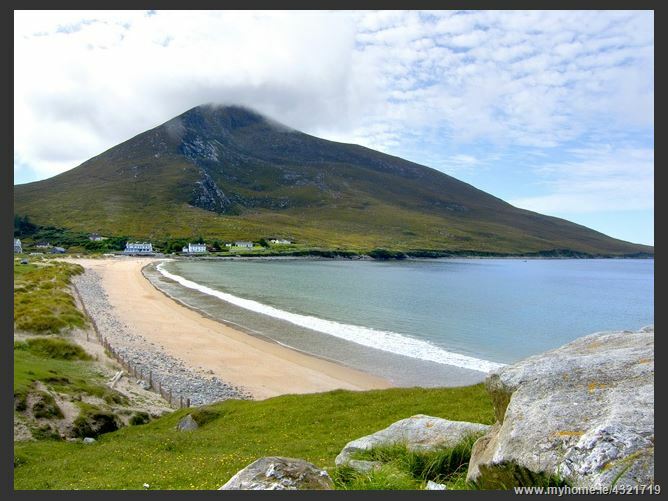 Surfing at Keel, one of the biggest surfing beaches in Ireland, is just 2.5 miles away. 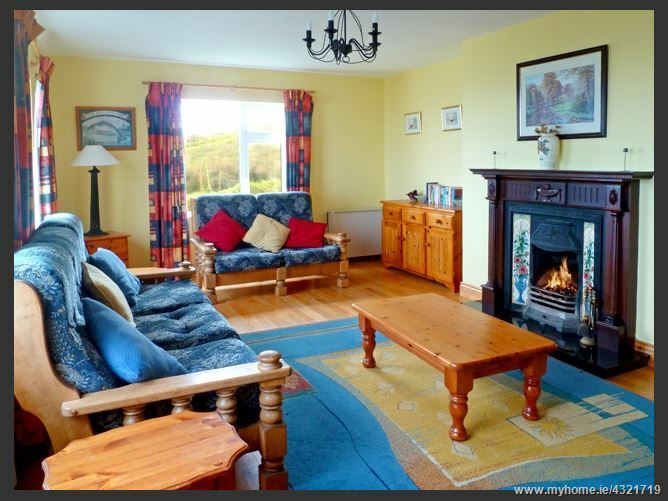 -Direct uninterrupted views to the Bay, And Slievemore Mountain. Entrance Hall: (16'10"X 5'10") With oak flooring. Lounge: (20'6"x 13'2") With open fireplace. Oak flooring. 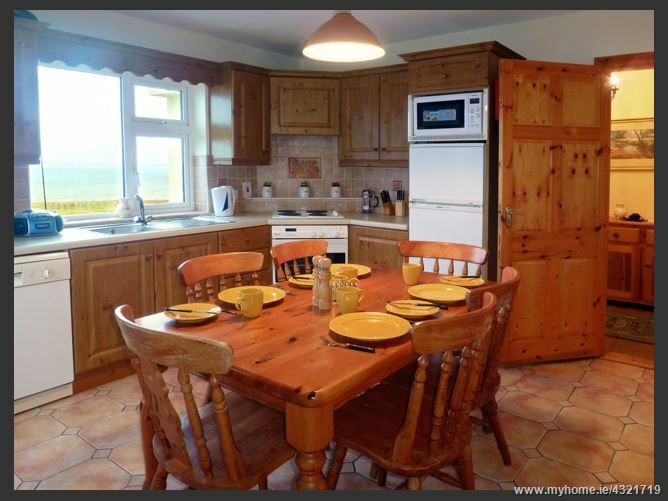 Kitchen: (13'3"x 12'2") With full range of units to include washing machine, dishwasher, hob and oven and fridge freezer. Tiled floor. Utility: Plumbed for washing machine and dryer. Bedroom (1): (14'6"x 10') Main bedroom with red deal flooring. With ensuite with electric shower fully tiled walls and floor. Bathroom: (10'10"x 6'2") With white suite, shower over the bath. Tiled walls and floor. With integral hot-press. 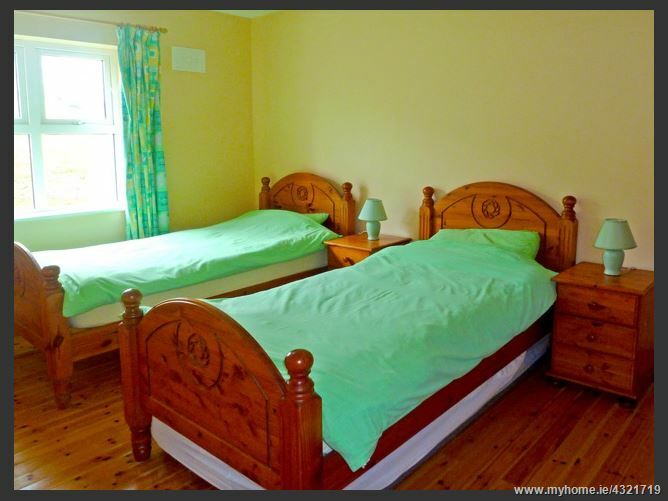 Bedroom (2): (14'6"x 9'6") With red deal flooring. 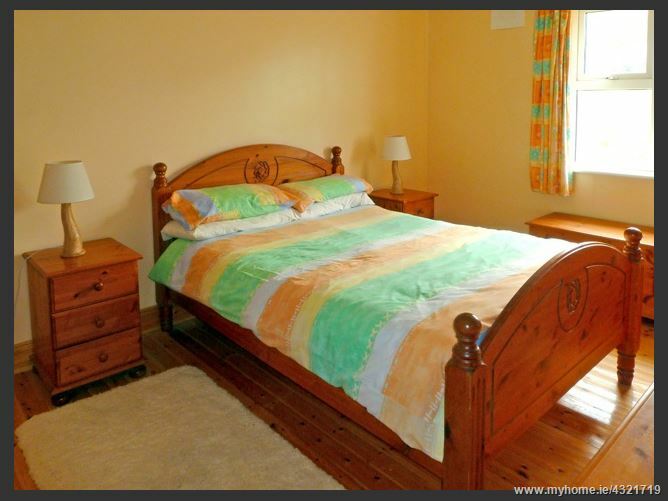 Bedroom (3): (10'9"x 9'6") With red deal flooring.